We work with computer all day and know just how frustrating it can be when they go wrong, thats why we’ve teamed up with local IT sales and support company Wilson Computers. Wilson Computers is a company based in North Down that provides IT technical support and sales. From a broken mouse to full server solutions they are a one stop shop for all your IT requirements. For more information on any computer problem please email info@ardnet.co.uk or call 028 9182 0073 and we’ll be happy to connect you with the best IT company around. Social Media networks like twitter, facebook and linked in are becoming hugely popular as a way to promote your business. If a customer likes your product or service why not link with them through online social media so that all their friends can see that they recommend your business. Getting started with social media can be a mindfield however with lots of pitfalls and traps to catch out even the most seasoned web user. We’ve teamed up with Northern Ireland’s only fulltime Social Media Expert, Bill McCartney, Founder of Net 4 Wise Olds and can offer 1-2-1 social media tuition to all our customers. Bill also provides classroom based seminars in Bangor with prices starting from only £30. For more information please e-mail info@ardnet.co.uk or call 028 9182 0073. 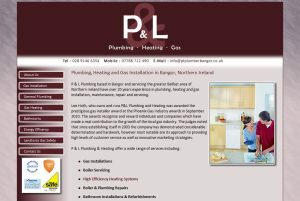 P & L Plumbing and Heating is based in Bangor with over 20 years experience in plumbing, heating and gas installation, maintenance, repair and servicing. The website shows examples of the types of work that this company provide. The site is regularly updated with the most recent special offers. 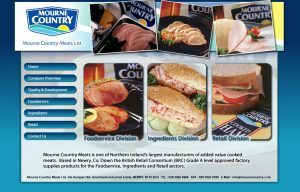 Mourne country meats is one of Northern Ireland’s largest manufacturers of added value cooked meats. They supply to the catering and foodservice industries as well as providing ingredients and packed products for the retail industries. The website includes information on each type of product offered by the company. 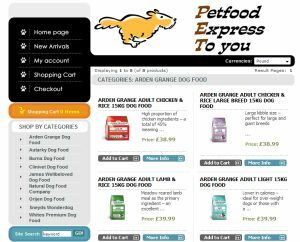 Local company Petfood Express To you market a wide range of dog food products through Northern Ireland and the republic. This site allows customers to buy the products online. The e-commerce site has multi-currency options, a shipping calculator to work out free shipping over a certain value as well as a huge host of features including a product search and special offers listings. The backend of the site allows the owner to add and remove products and categories, add products to the special offers page and track the orders online. Revolutionary golf club grip which turns tacky when wet. A big problem for golfers is that when it starts to rain or their hands sweat the club starts to slip in their hands, this grip becomes tacky when wet and improves the golfers game. 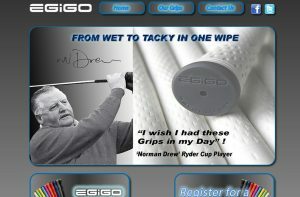 The product as endorsed by Ryder Cup Player Norman Drew and can tried and tested for free by registering on the website to receive a free grip.